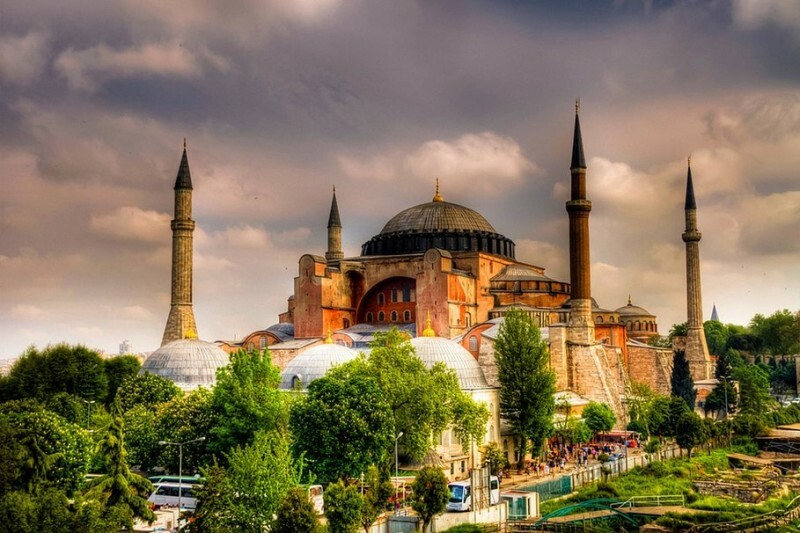 You will be picked up from your hotel at approximately 8.30am, and our first stop will be at the beautiful Hagia Sophia* (Aya Sofya), considered to be one of the most impressive examples of Byzantine era architecture. Built in the 6th Century by Emperor Justinian, it was used as a church until 1453, when it was converted to a mosque by Sultan Mehmed II following the conquer of Istanbul. Although it was converted to a museum in 1935, it still contains lots of traces of his colourful history. Next stop is the Blue Mosque (Sultanahmet Camii), formally known as Sultanahmet Mosque, but earning its nick name the Blue Mosque because of its thousands of impressive blue Iznik tiles adorning its interior. 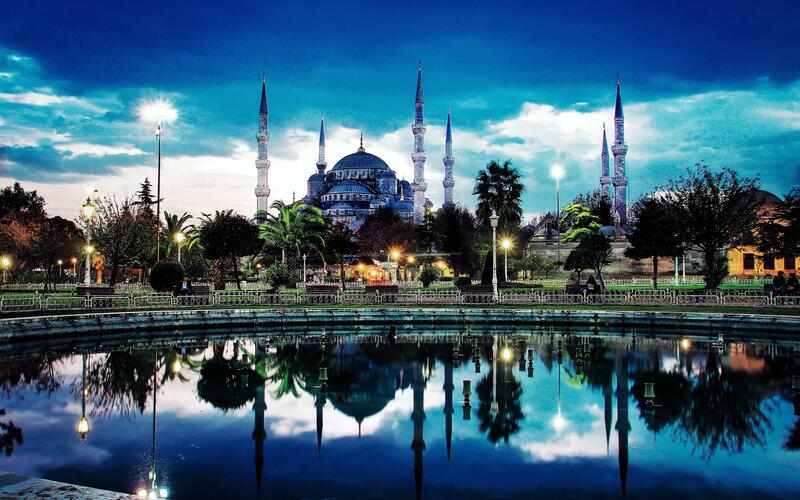 It is the only Ottoman mosque with 6 minarets. Our next visit is to the Hippodrome of Constantinople (Sultanahmet Meydanı). This was the location of chariot races, athletics and protests in the Byzantine and Ottoman eras. Monuments in the Hippodrome include obelisks and the German fountain. We will take a lunch break at a cozy local restaurant, and then head to Topkapi Palace** (Topkapı Sarayı). The palace was the primary residence of the Ottoman Sultans and home to the Ottoman government. It was transformed into a museum in 1924 and declared as a World Heritage site by UNESCO in 1985. Please note that the Harem is not included in the tour, however let your guide know if you would like to visit on your own. We then stroll up to the Grand Bazaar*** (Kapalı Carsi). Built in 1461, and home to over 4,000 shops bursting with traditional Turkish goods such as handmade carpets, jewelry, leather and souvenirs, the Grand Bazaar is must-see for any visitor to Istanbul. Much of the Old City area is closed to traffic, and so this is primarily a walking tour – please make sure you wear comfortable shoes. The tour starts at approximately 08:45 and finishes at approximately 17:00. 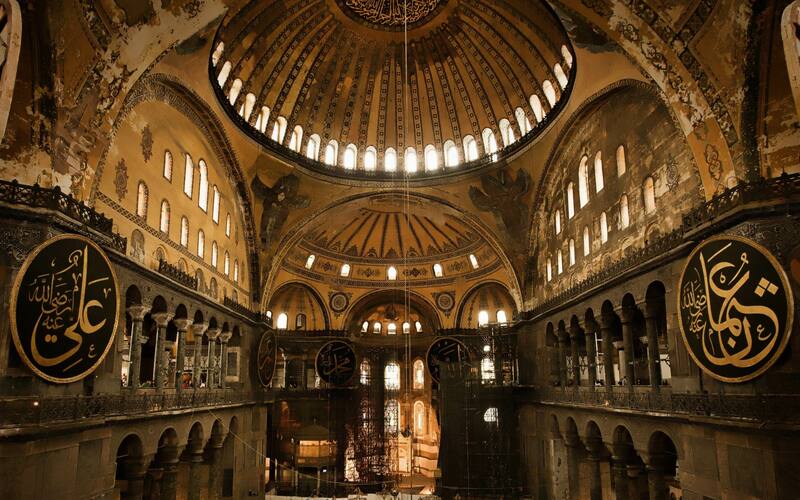 *Please note that the Hagia Sophia is closed on Mondays and will be replaced with a visit to the Basilica Cistern. 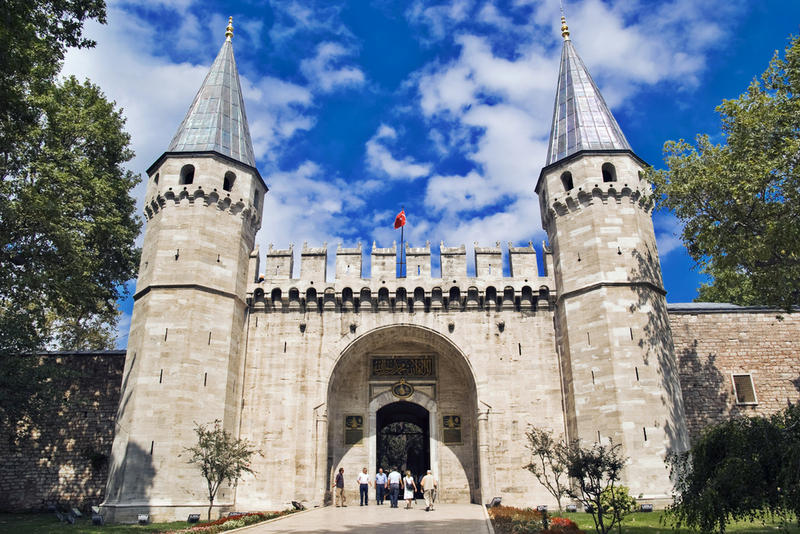 **Topkapi Palace is closed on Tuesdays and will be replaced with a visit to the Archaelogical Museum. 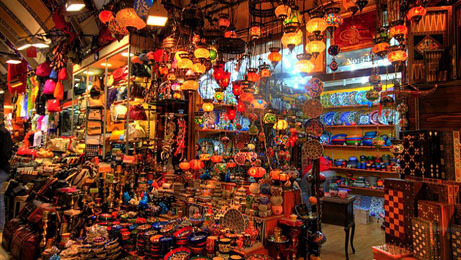 ***The Grand Bazaar is closed on Sundays and will be replaced with a visit to the Spice Bazaar.